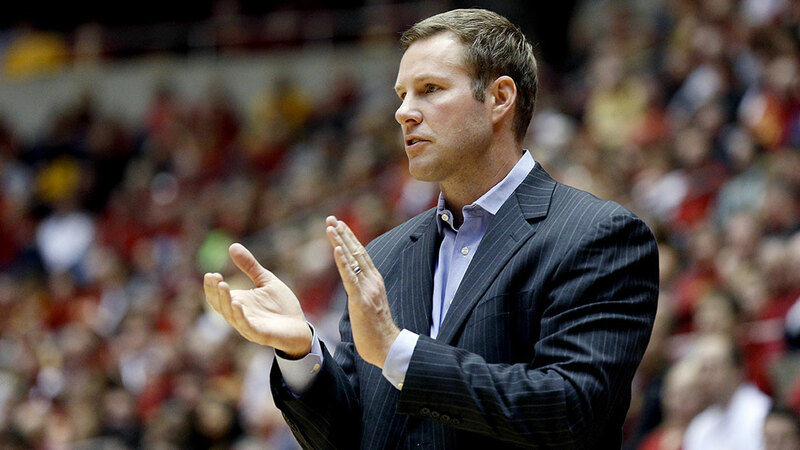 » Short-Term 13: Can Fred Hoiberg’s Juco Recruits Get Iowa State Past the Sweet 16? A few days ago, I called up Shawne Ungs, who handles marketing and public relations for the Ames Convention & Visitors Bureau, to ask what a 20-year-old basketball player stands to gain by moving to Iowa. “One of the great things about Ames,” she told me, “is that it’s seen as a small community — there are 60,000 residents, about 35,000 of which are Iowa State students — but it has a lot of things to do.” If you’re hungry, Brick City Grill whips up the best burgers in the state. There are nearly 1,200 acres of parks and public spaces, including an indoor rink for public skating. Stephens Auditorium hosts touring performers: Béla Fleck and the Moscow Festival Ballet came through this past year. For hoopers with an interest in the outdoors, there’s even a 2,500-square-foot butterfly house at Reiman Gardens. Ames might have sounded like a place better suited for young families than for a college-age Texan, but Babb committed on the spot. The Mayor had a new constituent. Iowa State has finished each of the past three seasons in the top 30 of KenPom.com’s efficiency rankings. It’s in line to do so again this spring, ranked 20th through December 29, with an 9-1 record. Only 10 other schools — not Kentucky, not North Carolina, not Syracuse — can claim the same consistency over the current four-year stretch. And the Cyclones have done it all without a single top-tier signee from a high school gym. Since 2011, the median recruiting class ranking for those 10 efficient schools sits at 22.5. 1 Fred Hoiberg’s median class is all the way down at 58. This past year, Iowa State welcomed one three-star recruit, and that was about it. Aside from a few notable exceptions — the departed Melvin Ejim, current stars Georges Niang and Monte Morris, none of whom sniffed the McDonald’s All American game or a five-star designation — high-impact transfers are filling in the roster’s wide gaps. 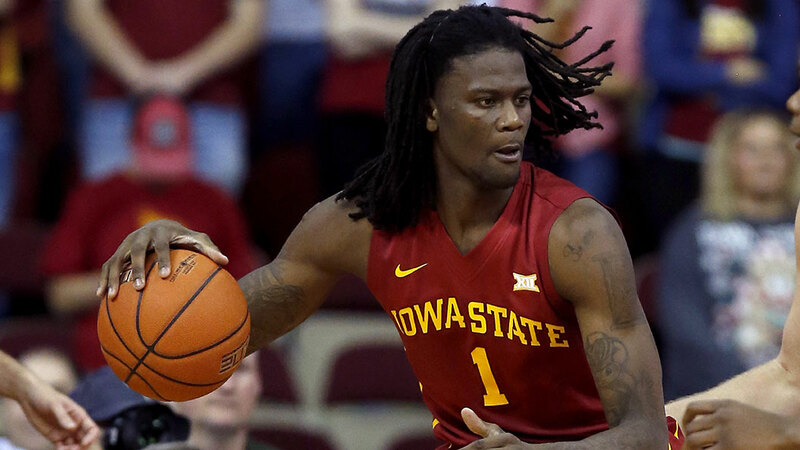 A stunning 12 players have transferred to Iowa State since Hoiberg moved back home. (A 13th, Marquette’s volume scorer Deonte Burton, is on his way, too.) To even the most casual college hoops fan, many of those names should be familiar. The dynamic Royce White famously fled Minnesota for greener, more southerly pastures. Will Clyburn jumped from Marshalltown Community College to Utah to Ames, where he helped his new teammates notch 23 wins. DeAndre Kane took graduate classes and played himself, ruggedly, onto the All–Big 12 first team. Taken from one angle, it’s surprising that Hoiberg is the guy ushering short-term rentals to his hometown. Before scoring 1,993 points and guiding Iowa State to three NCAA tournament appearances, the local-boy-done-good literally served as a Cyclones’ ball boy; he was the Platonic ideal of a four-year player, in other words, a blond kid from the heartland whose blood ran thick with corn. Restocking a barren cupboard with high schoolers takes time, though, and Hoiberg’s staff wanted to snap ISU’s half-decade postseason drought as quickly as they could. If that meant taking chances on older kids, they agreed that’s what they’d do. Without necessarily realizing it, Iowa State had identified a market inefficiency other marquee programs would soon look to exploit. “At the time, four years ago, we were somewhat in the minority,” Abdelmassih says. “People had their stigmas about transfers, that there has to be something messed up about them.” Kids leave school for all sorts of reasons, of course, and the Up-Transferring trend (as Sports Illustrated’s Luke Winn coined it) has spiked in the past three offseasons. By establishing Ames as a sanctuary for the disaffected, Iowa State got a leg up on its high-major rivals. This season, it’s graduate transfer Bryce Dejean-Jones turning heads. UNLV’s leading scorer a season ago, the long and athletic 2-guard is clocking an offensive rating of 128.1 in nearly 70 percent of the Cyclones’ minutes, shooting at the highest clip of his career by a wide margin. He runs alongside Niang, a junior who does more underneath the rim than just about any big man in America, and Morris, a sophomore point guard who seems like he’s never made the wrong pass in his entire life. The club ranks seventh nationally in effective field goal percentage, eighth in assist percentage, and 11th in turnover percentage.2 When all the cylinders are cranking, as they were in this month’s cross-state showdown at Iowa, the machine is a sight to behold. And Hoiberg has barely had an opportunity to deploy McKay, who is “definitely the best big athlete we’ve had since we’ve been here,” according to Abdelmassih, and a player the Iowa State faithful hope will shake up the über-competitive Big 12 race this winter. (McKay had eight points and five rebounds in his 13-minute debut against Drake on December 20.) A two-time JUCO All-American at Indian Hills, McKay earned rave reviews from his former coach for his rim protection and hustle. “Jameel is the best offensive rebounder I’ve ever coached,” Wardenburg says. “He can hit the ground and get back up as quick as anybody I’ve been around.” For a team with a thin bench that struggles to corral errant shots, the fit seems like it should be effortless. “NBA” is a dirty acronym in Ames; whenever there’s a professional coaching vacancy, the town’s prodigal son finds his name in headlines. Could he take a cue from his own recruits and move somewhere where his strengths might be better utilized? Absolutely. The offer, though, seems like it would need to be overwhelming. Iowa State has made three consecutive trips to the NCAA tournament, including last season’s Sweet 16 finish. Hoiberg is getting paid $2.6 million a season to coach his beloved alma mater. He works in a town he’s described as “the number-one place in the world to me,” within spitting distance of his four kids, his parents, and his in-laws. And whenever he wants, Hoiberg can pick up a Brick City burger and watch the butterflies at Reiman Gardens soar. Adam Doster (@adam_doster) is a freelance writer based in Chicago. His work about sports and sporting culture has appeared in Sports Illustrated, The Atlantic, and ESPN The Magazine, among other publications. According to data from 247Sports.com.